For golfers in the northwest St. Louis, Missouri area looking for golf lessons, golf instruction, or custom golf club fitting, GOLFTEC Clayton is the answer. 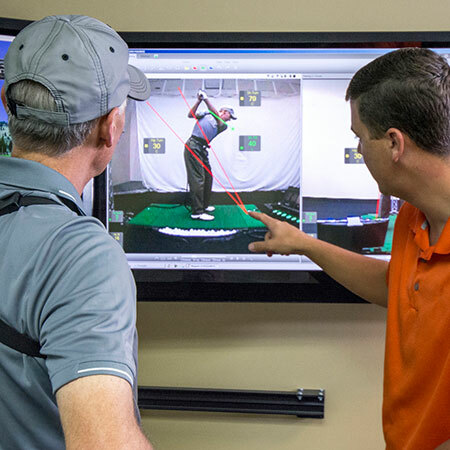 At our state-of-the-art Training Center you'll find all the tools you need to help you improve your golf game. Our Certified Personal Coaches have years of instructional experience and they use the latest golf technology to help players of any age or ability reach their goals. 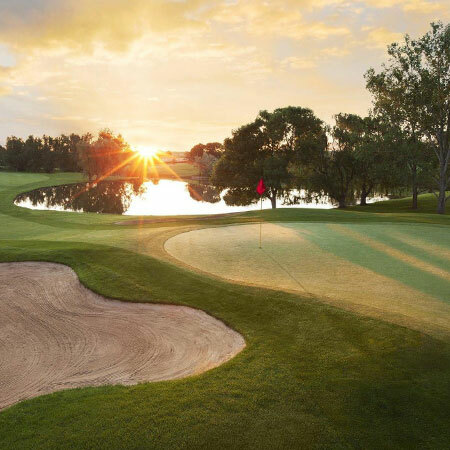 In addition, to all of our indoor services, we offer outdoor and on-course golf lessons at Forest Park Golf Course, Ruth Park Golf Course, and Normandie Golf Course. Whether you're looking to win your club championship or just getting started with the game, golf lessons with GOLFTEC Clayton is the perfect solution for you. Talk to one of our Certified Personal Coaches by calling 314-721-4653 to start playing better golf today! Directions to our Training Center: GOLFTEC Clayton is conveniently located in the Plaza in Clayton near the Crown Plaza, J Bucks Restaurant, and Ritz Carlton Hotel and just three miles from Forest Park. To find our Training Center from downtown: Take Highway 40/64 to Hanley North to Carondelet Plaza, turn right on Carondelet Plaza and follow two short blocks to our learning center which is located on the right side of the street just past The Northern Trust Bank and before the Ritz Carlton). To find our Training Center from Lambert International Airport or St. Charles area: Take I-70 east towards St. Louis. Merge onto I-170 South (the Inner Belt) via exit 238B. Follow south to Forest Park Parkway and merge onto Forest Park Parkway at exit 1E and take the ramp towards Central Avenue. Stay straight onto South Central Avenue and then turn right onto Carondelet Plaza and follow towards the Ritz Carlton hotel. GOLFTEC is on your right, 2 short blocks down, just past The Northern Trust. To find our Training Center from West County: Take Highway 40/64 East to Hanley. Exit at Hanley and proceed northbound to Carondelet Plaza. Turn right on Carondelet Plaza and GOLFTEC is on your right two short blocks down just past The Northern Trust. A variety of golf lessons and Game Plans are available at GOLFTEC Clayton, including In-Bay, On-Course, Short Game and Putting lessons. With a Game Plan, you receive sequential lessons that build on each milestone to build a better swing that can be comfortably repeated on the golf course. Every Training Bay at GOLFTEC Clayton includes interactive video, letting you see immediate replay of each swing from two directions simultaneously. This resource makes your practice sessions more productive and your improvement faster! TECFIT, GOLFTEC's tour-level club fitting system, provides a precise, unbiased fitting experience with our experienced and certified professionals in Clayton, MO. The confidence gained by using properly fit equipment is another key to your golf success. 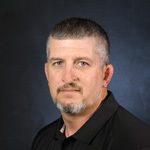 A former instructor in the Hank Haney Instruction Program and 10 years teaching experience. PGA Member for 20+ years and former Mini Tour Player. Have over 20 years of teaching experience with over 10,000 lessons given. My passion is to help golfers improve their game and thus their enjoyment towards golf. 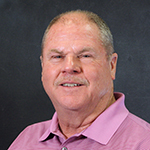 4-Time Gateway PGA Section Teacher of the Year Has taught numerous PGA and LPGA and Champions Tour players over 40+ years of teaching, included are: Trevor Dodds, Jay Delsing, Jay Williamson, Jim Holtgrieve, Stan Utley. Top area Amatuers include Don Bliss and Skip Berkmeyer, to name a few. 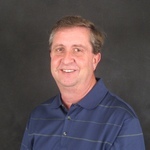 Terry is formerly the Director of Golf/GM at St. Albans C.C. and was G.M. at Florissant Golf Club. 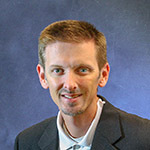 A PGA member for 10+ years and a golf instructor for 15+ years. Eight time nominee finalist for Teacher of the Year and Jr. Golf Leader of the Year in the Gateway PGA Section.I have instructed golf at many levels, from beginners to top amateurs and some Pro players. I love teaching golf and enjoy all the success of my students, just as much as they do. A-Z GOLFTEC is above and beyong the best at helping golfers of all handicaps understand the game. They work with your swing to help you play better. I never feel rushed and Mike always takes time to understand where I'm at and lays out a lesson plan to improve. One on one teaching is great. They communicate all the complicated metrics in terms that make sense to all players. The video shows you the right positions you need and I love the slow motion breakdowns!